We’re suckers for a graphic T-shirt. Be it vintage, rock band, designer or slogan, if we find a tee with something plastered across it, we usually want it! We love the idea of dressing our T-shirts up: Like pairing with a skirt and heels to create that laid back luxe look that we love. They're actually perfect for a night out if you want to give your outfit a bit of an edge. There are some cool tees around at the moment—Isabel Marant, Ganni and, of course, our faithful ol' Topshop—all have great options. But we understand if the thought of wearing one as a grown-up (maybe the last one you really owned was from Disneyland circa 1990?) but as a growing trend your options—both in terms of purchasing and styling—really are quite endless. 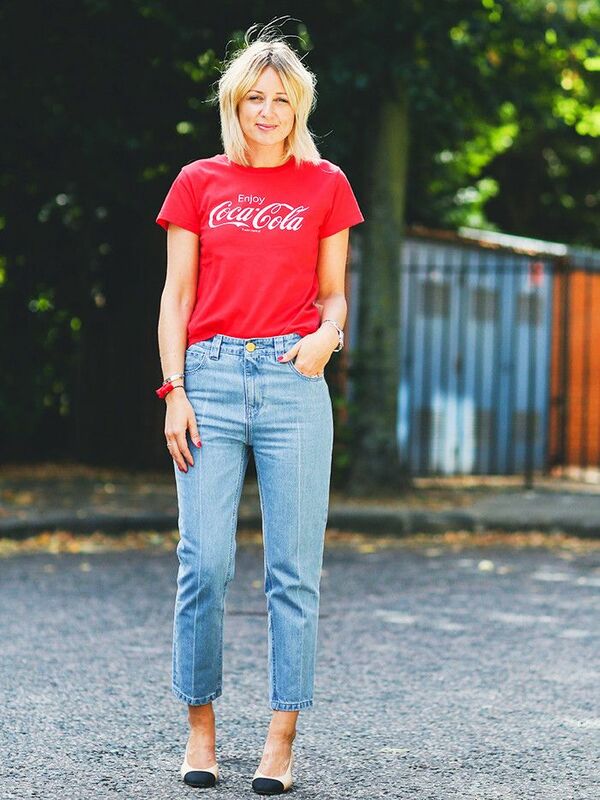 Style Notes: Vintage-looking versions always work so well with equally vintage-looking jeans. So opt for true-blue denim and a mom-style cut… if you dare! Style Notes: Retro influences don't have to be everywhere—modern heels will bring this look up to date. Style Notes: Not into print? Then check out the beautiful embroidered styles available, and make them work-appropriate with a pair of tailored trousers. Style Notes: With smart loafers and just a very understated motif, the casual tee can be brought into chicer territory quite easily. Style Notes: Feel free to go the distance and unleash your inner rock goddess with distressed denim and tough, metal-hardened accessories. Don't forget to roll up your sleeves for the full effect. Style Notes: The idea of hi-lo works really well for these kinds of tees: Pair one with a pretty, luxe skirt and classic heels, and your crew-neck will instantly relax into place. Shop for graphic tees in the gallery below—and keep up with our latest outfits on our site, A Style Album. Yes, this says "ALWAYS WILL" on the back. We agree on the tee + choker front. This comes in different colours too. This is the brand all of your Instagram favourites are wearing. Because you don't have to opt for monochrome only. You can also tick off the shoulder-baring trend in one swoop. See more of what to buy now, with our weekly edit of new-in pieces.